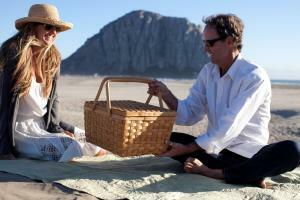 This beach is popular for its dramatic setting with Morro Rock sheltering you from overhead. Swimming, surfing, sandcastle building, sun bathing, and picnicking are all favorite activities. The beach is open from dawn to dusk and welcomes dogs on leashes. Many hotels are walking distance to this gorgeous seaside hangout. 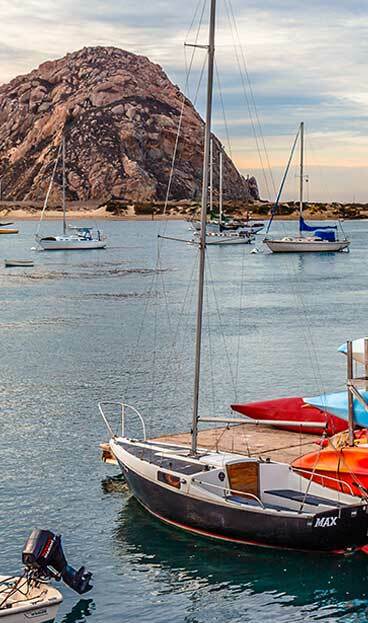 To view a map of Morro Bay hotels, click HERE. Morro Strand is a great place to watch kite surfers zipping back and forth just offshore. 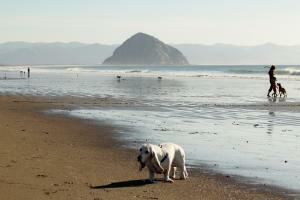 From the Morro Rock, you can walk 5-miles of sand all the way north to the pier at Cayucos State Beach. If you park in Morro Rock’s parking lot, take a peek toward the edge of the bay. This is a popular swim spot for sea otters and harbor seals. Many otters have pups during spring and summertime that they swim with on their stomachs. Bring binoculars for a better view. For more information about the otters, click HERE. Cabrillo Hwy. and Toro Creek Rd. 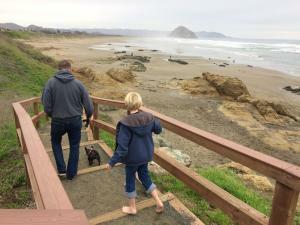 Toro Creek is the ideal off-leash dog beach. This white sandy beach fills the gap between the north and south sections of Morro Strand State Beach between Morro Bay and Cayucos. Toro Creek is also hosts an otherworldly array of sea creatures year round that live in the tide pools. Come explore the home of shore crabs, colorful anemones, rare birds and other native animals. For more information about our tide pools, click HERE.